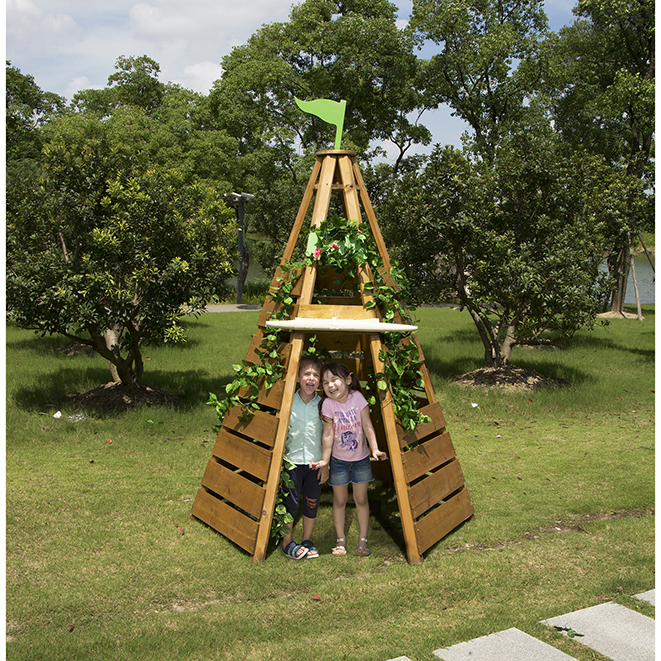 A great little den for young children – and a blank canvas when it comes to imaginative play – children can pretend they are living on the Great Plains as they seek out fun and adventure with their friends. Flag is made from HPL board. Features a white water proof PVC canopy. Manufactured from finest durable pinewood, which is pre-treated to provide maximum resristance against rot and decay. Decorative leaves are not included.